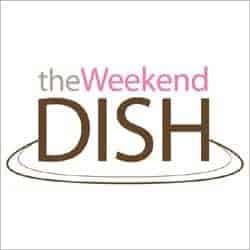 Welcome back to The Weekend Dish, which was on a little hiatus last weekend due to the holidays. I gave myself a bit of a vacation so I wasn’t scouring blogs for new recipes as I normally do, and I spent last weekend preparing for, attending, and then recovering from Winter Classic activities (which you can read about here). But, things are getting back to normal around these parts, so I bring you the first Weekend Dish of 2011! I hope you all had a wonderful holiday season and enjoyed the company of friends and family. Before we get to the normal Weekend Dish stuff, there was one post from last week that I wanted to highlight in case you missed it: The Best of Brown Eyed Baker in 2010: The Top 20 Recipes. It’s my annual New Year’s Eve post highlighting the recipes that received the most traffic during the year, as well as 10 of my favorites that didn’t fall into the high-traffic category. It’s always fun to see which posts made the list! Now as always, you’ll find a recap of what was posted to the site this week as well as some bookmarked recipes from other blogs. Enjoy! Happy New Year! – Wishing everyone a Happy (belated) New Year! 40 Healthy Recipes for 2011 – A roundup of all the healthier recipes on the site. There are some gems in there! My 2011 Food (and Baking) Resolutions – The top 5 things I hope to accomplish in my little corner of the foodie world this year. Oatmeal Muffins with Dates, Cranberries and Pecans – A wonderfully hearty breakfast option that is not short on flavor! Apple Cinnamon Bread – A fabulous cinnamon quick bread full of chunks of apple and topped with a cinnamon-sugar crust. Not only am I sucker for anything carrot cake-related, but Dara made these to celebrate a milestone birthday. Go check these out and wish her a Happy Birthday! Christmas may be over, but it won’t take much convincing for me to consume any ginger/eggnog combo. Yum! Because seriously, I could eat pepperoni pizza every.single.day of my life. I love homemade gnocchi but have never made a pumpkin version. This looks and sounds fabulous! Absolutely stunning cupcakes. And I have no doubt they are every bit as delicious as they look. Here’s to a fabulous year in the kitchen! Will have to try those Tiramisu Cupcakes! Haha, I could too…I’m a total pizza fanatic. Thanks for including my recipe – hope you enjoy it! Those are some yummy links you have! Thank you so much for including my gingerbread whoppie pie recipe! :) Have a great weekend! 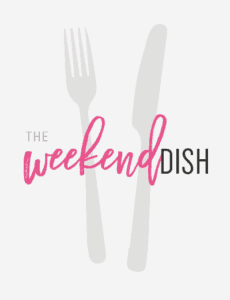 Thanks so much for including my carrot cupcakes in your weekend dish, Michelle. I hope you’re having a great weekend!